Taking good care of your teeth and gums does more than help ensure you have a bright, white smile. A healthy mouth and healthy body go hand in hand. Good oral hygiene and oral health can improve your overall health, reducing the risk of serious disease and perhaps even preserving your memory in your golden years. The phrase “healthy mouth, healthy you” really is true — and backed by growing scientific evidence. Decayed teeth and gum disease are often associated not only with an unsightly mouth but very bad breath — so bad it can affect your confidence, self-image, and self-esteem. With a healthy mouth that’s free of gum disease and cavities, your quality of life is also bound to be better — you can eat properly, sleep better, and concentrate with no aching teeth or mouth infections to distract you. The bacteria that infect the gums and cause gum disease also travel to blood vessels in other parts of the body where they cause blood vessels to get inflamed and damaged so then tiny blood clots, heart attack and stroke may happen. Supporting this idea is the finding of remnants of oral bacteria in blood vessels that have plaques. The fact that we look for the bacteria that can cause gum disease increases your chances of possibly reducing your risks. A new study jointly led by the University of Southampton and King’s College London has found a link between gum disease and greater rates of cognitive decline in people with early stages of Alzheimer’s Disease. There are many theories and one that has been shown is that there are particular oral bacteria that can find their way into the brain which can affect brain function. Don’t take for granted that your dentist and hygienist are cleaning your teeth in the best way possible. A holistic teeth cleaning offers a safer, healthier approach to dental cleanings for your teeth and gums, and even provides welcome perks for your overall well-being. • Rather than just using “plain” water, essential oils are infused into the water. • The water is ozonated, meaning it has been cleaned and purified. • This treated water not only disinfects the area being cared for but also allows for an enhanced immune response. 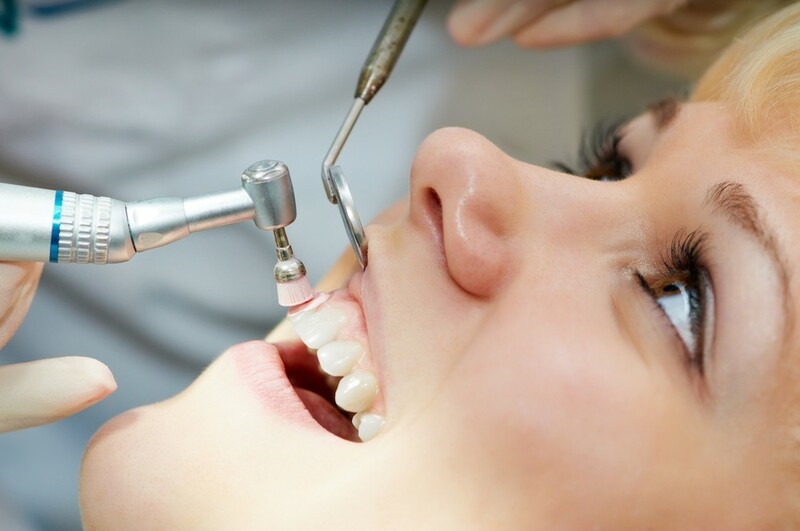 • A dental cleaning technique is utilized, resulting in a safer, more pleasant, and more comfortable way to clean teeth. Ozone therapy is also employed as a holistic approach to help treat periodontal disease, serve as part of root canal treatment, or be used to manage tooth sensitivity, bone infections, sores, and more. The ozone kills bacteria and neutralizes acidic waste, creating a new environment that allows healthy bacteria to grow. You will typically get X-rays done at your dentist once a year to monitor any changes in your mouth and identify cavities or other problems that may be stirring under the surface. A holistic dentistry office uses digital X-rays, setting itself apart yet again from typical dental cleaning practices. Digital X-ray machines decrease a patient’s radiation exposure by an incredible 90 percent. They also pose less of an environmental threat as the images are captured digitally rather than requiring film and processing chemicals. It’s Time for Your Holistic Teeth Cleaning! Our practice operates in an effort to provide our patients with access to the healthiest, safest kinds of dental care possible. At Dr. Gashinsky’s Holistic Dental Center, each exam room is fully equipped to carry out all procedures, including the removal and replacement of amalgam fillings. Make your appointment today for your holistic teeth cleaning and to learn more about how your oral health affects your total health and wellness!